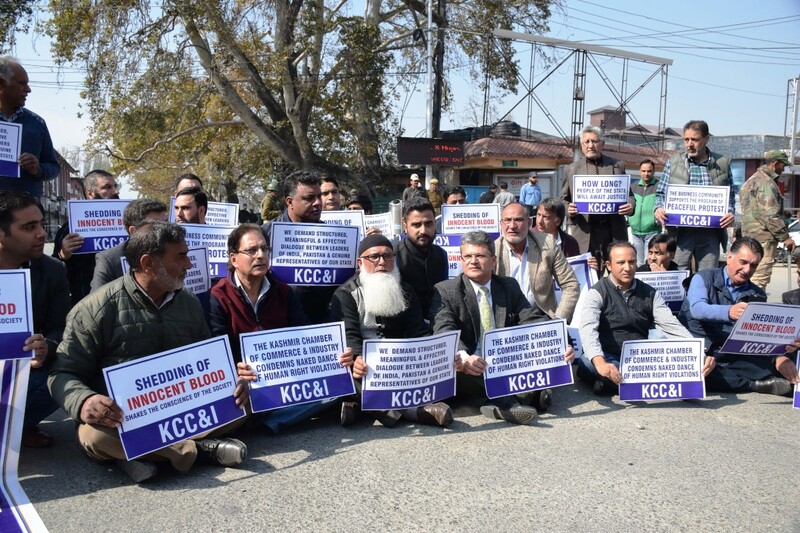 The Kashmir Chamber of Commerce and Industry on Tuesday took out multiple protest march’s at Raj Bagh and Regal Chowk, Srinagar. The spokesman said that members of the KCC&I were prevented from proceeding towards Lal Chowk and protested by sitting-in at Regal Chowk. Despite strict restrictions, a large number of members of the Chamber participated in the protest march. The protest was led by Senior Vice President, Nasir Hamid Khan who read out the following statement on behalf of the KCC&I. He said as a sign of solidarity and to collectively condemn naked dance of human right violations, the Kashmir Chamber of Commerce and Industry today joins and supports people of Kashmir Valley to observe this peaceful protest. Members including executive, affiliated associations and office bearers are present at this venue and in one voice urge all right-thinking people of the world to prevent a repetition of violations, which has already taken a heavy toll of our people. The business community, traders, small-time vendors, and others, notwithstanding the stressful and worrying economic situation, support the program of peaceful protest throughout the length and breadth of the State. These situations, there is a reason to believe, are being created to retard economic activities, in particular, those relating to the tourism sector. A well thought of plan seems to be in operation to subjugate people by sheer force of power. The Kashmir Chamber of Commerce and Industry, as a welfare organization of the business community, will do it’s best to help traders, in particular, small-time traders, in times of crisis. The need of the hour is to stand united with the members of the society who stand for justice. Every killing, every hartal, every strike and every large-scale disturbance demands and calls for the resolution of the dispute of our State. The Kashmir Chamber of Commerce and Industry calls upon human rights organizations, wherever they be, to report events which shake the conscience of the society and bring them to the notice of world community. Repetitive killings of our innocent people breach levels of tolerance. It is high time that the guns are silenced. So long as there is no structured, meaningful and effective dialogue between leaders of India, Pakistan and genuine representatives of our State, we believe that the situation, more so, during ensuing winter will be far from normal. He further said that how long people of the State will await justice? Several generations, for last seven decades, have already been consumed by the conflict. We see no end to it unless all stakeholders come together. 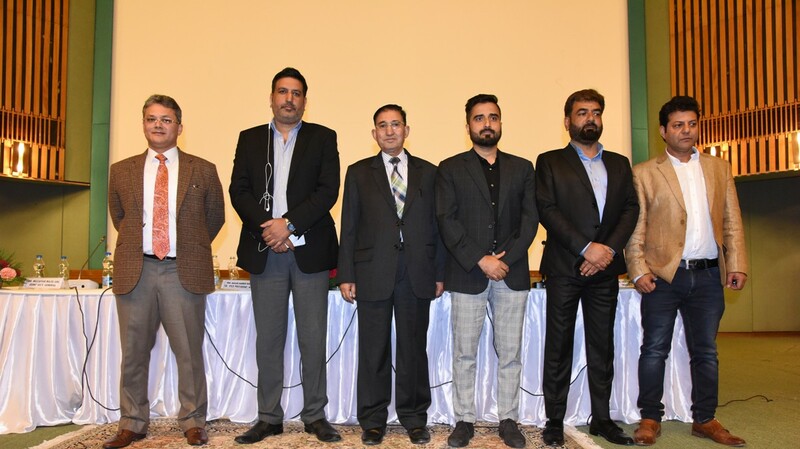 On it’s part, the Kashmir Chamber of Commerce and Industry will continue to support people, victims of violence, those who have been subjected to torture, prisoners, and who have suffered and continue to suffer under adverse prevailing conditions to the extent it is possible, they said. The Kashmir Chamber of Commerce and Industry, as such, is not a political organization but least it can do is to act as the voice of people.